The benefits of switching to a keto lifestyle are well established. But, in this carb crazy world, starting, and then sticking to, a ketogenic nutritional plan can be a real challenge. Even when you think you’re eating clean, there are likely to be carbs lurking in the most unsuspecting of places. All of this makes finding a good keto meal delivery service a smart choice for anyone who is serious about getting and staying in keto. In 2019, more and more meal delivery services are either specializing in keto or providing extensive keto friendly options. In this article, we bring you the 7 Best keto meal delivery services on the 2019 market. Our #1 favorite keto meal delivery service right now is Factor 75. We believe this is the most complete service, that includes dietitians who are available to provide nutritional advice. The food, of course, tastes great and the pricing is competitive – what’s not to love! Our second favorite is True Fare. Over their six years of operation, they’ve developed what we think is the most extensive range of menu options on the market. The delivery process is streamlined and you can choose between weekly, bi-weekly or monthly delivery options. Rounding out our top 3 is Keto Delivered. Rather than providing prepared meals, Keto Delivered sends you an assortment of keto friendly ingredients that you can whip up into tasty meals at a fraction of the cost of buying them. Factor 75 delivers ready-made ketogenic meals to your home. This provides you with the confidence that you’ll be getting into and staying in a stet of ketosis with every meal that you eat. And you’ll be doing it without having to give up delicious food. In fact, Factor 75 meals are so good that you’ll look forward to every meal. Every ingredient that goes into a Factor 75 meal is sourced from fresh organic sources. In addition, they are gluten and soy free, GMO free and antibiotic free. All of the beef, poultry and other meat that goes into their meals is sourced from pasture raised, grass fed and preservative free animals. One of the things that has helped to establish Factor 75’s reputation as a market leader is that they are constantly adding new menu items. In fact, they do so on a weekly basis. The meals are put together by a staff of top-rated chefs. Something else that they do which is unique is that they have a complement of dietitians on staff who are available to consult with clients, providing advice on how to find success on keto. The process of ordering has been streamlined to make it extremely easy. Once you’ve visited the website, simply select the meals that you want to enjoy. Your meals will come to you in insulated boxes. Factor 75 utilize zero oxygen technology. This makes sure that the meals arrive in the freshest condition possible. They are guaranteed fresh for up to 9 days after delivery. In addition to their keto range, Factor 75 provide a full range of Paleo meals. True Fare have been around for about six years, making them one of the more established keto food delivery services around. 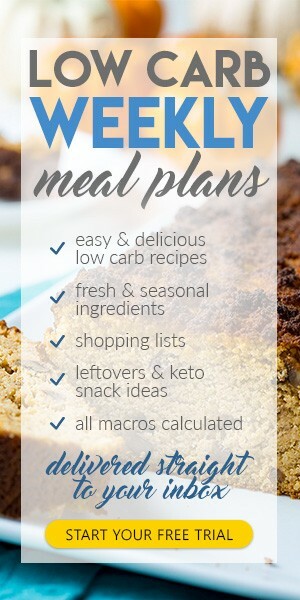 Their selection is impressive with more than 50 meals, covering keto, paleo and weight loss specific plans. You have the option of either signing up for a subscription or purchasing a la carte meals from their online menu. Subscriptions are available on weekly, bi-weekly or monthly basis. There are more options available on True Fare than any other service that we have come across. Your meals are available to eat straight out of the box. Professional chefs prepare all prepare the meals but, if for any reason, you’re not happy with a meal, they will replace it so longa s you notify them within 48 hours. Meal subscriptions are available in 5, 10, 20 and 30 day options. True Fare are a full meal delivery service so you will be able to eat your meals straight out of the box. All meals have been prepared by a professional chef using the highest quality ingredients, whether its free-range chickens or organic vegetables. If for any reason, you are unhappy with your meal, True fare will replace it of you notify them within 48 hours. True Fare offer a full range of keto options for breakfast, lunch and dinner. You can select from 5, 10, 20 and 30 day options. True Fare are not the cheapest meal delivery service around, but neither are they the most expensive. 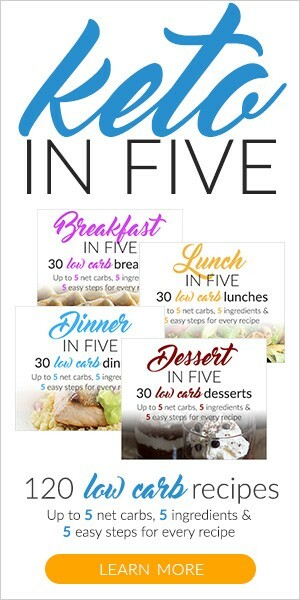 On a 30 day plan, you’ll ends up paying $15 per meal, which seems to be about the going rate. Free shipping is available on orders in excess of $295. Keto Delivered was started by a couple of keto weight loss success stories. Between them, Craig Clark and Katie Jaeger have lost 210 pounds by following the keto lifestyle! But finding keto friendly meal ingredients day fter day was a real struggle. As a result, they came up with Keto Delivered. Keto Delivered provides you with a monthly food box that contains keto friendly foods and great recipes that you can turn into delicious meals. Because you’re actually doing the cooking yourself, this is a very affordable way to go. You’ll be inspired with a huge range of meal ideas that can be put tighter inside of twenty minutes. Each box that you receive contains seven keto friendly foods. All foods are sourced from artisan, farmer’s markets, and small batch foods. Every single month you’ll get to try new foods that you would otherwise never have come across. Your box includes delicious and easy to prepare recipes. Keto Delivered will cost you $39.99 each month. You can be assured that the contents of your box will exceed that $40 cost. Hello Fresh is one of the biggest meal kit delivery services around. It delivers healthy meal kits that are paired with delicious, easy to prepare recipes. While not exclusively a keto service, it does provide a range of low carb recipes that are ideal for followers of the ketogenic lifestyle. All ingredients are pre-measured and pre-portioned to make it as simple s possible to prepare your nightly meal. Hello Fresh is a multinational; company that began in Germany. As well as being one of the largest meal kit delivery services in the United States, it also operates in Canada, Western Europe and Australia. It is a great option for those who love classic, traditional type fare that is healthy, nutritious and easy to prepare. Nearly all of the meals can be dished up within 30 minutes. Hello Fresh provide a plan for families and also have vegetarian options. You get to choose just which meals you receive each week. The company is wholly committed to delivering only high-quality ingredients that are fresh and tasty. To ensure that this happens every day, they have paired with trusted providers across the country. They are extremely selective about who they work with, so you can be sure that you will receive only the freshest, best quality meats and vegetables. Keto Krate is another subscription box service. Unlike Keto Delivered however, the focus here is not on providing full meal ingredients. Rather your Keto Krate is designed to meet the needs of the constant grazer. Your box will contain a range of healthy, keto friendly snack foods. Often, snack time is the most dangerous for people who are struggling to stick with keto. Its so easy to reach for any sugar filled treat that may be on hand. With Keto Krate, you will never have that problem. Low carb snacks are sourced from all over the planet to fill the Keto Krate with will surprise and delight. Reach food item is guaranteed to contain no more than five grams of carbohydrate. It will also be free of aspartame, soy and glucose. Every month you will receive between six and eight healthy LCHF snack foods. Every Keto Krate will also contain in excess of $20 in coupon savings. There is no contract with Keto Krate and you have the choice of either a $19.99 or a $39.99 monthly Keto Krate. Keto & Co is a food subscription service that provides you with a monthly box full of keto friendly products. The Boston based team at Keto & Co. are based out of Boston. They’re all died in the wool keto advocates, so they know what they’re talking about. They base their selections on a daily max of 30 grams of carbs. Each food is guaranteed to contain less than 1.5 grams of carbs per 100 grams. Keto & Co. products are very affordably priced. Keto & Co. offers an extremely wide variety of keto foods, including ice cream, b-b-q sauce, meal bars and bread mix. Keto & Co. sell a wide range of keto products in all categories. Orders over $50 dollars get free shipping. Check their prices here. Green Chef is not a full meal delivery service. Instead, they provide you with recipes and pre-measured ingredients so that you can quickly and easily put the meals together yourself. Green Chef are innovators in the area off sustainability. All packaging used is reusable, recyclable or compostable. Every recipe is created by qualified chef and designed for novice cooks to be able to create mouth-watering meals. Green Chef’s pricing is based on the plan you choose and how many people will be eating each dinner. Here is a breakdown . . There is an additional charge of $0.99 for shipping per box delivered. When you sign up to Green Chef you will get $40 off your first order. Check them out here. Keto lovers are well covered with the wide variety of services designed to keep them carb free. We feel that the best overall complete meal delivery service on the market right now is Factor 75, providing huge choice, delicious meals and competitive prices. We were also impressed with True Fare, who offer the widest variety of all the meal delivery services that we investigated. Our 3rd preferred service is Keto Delivered, which provides an assortment of keto friendly foods at an affordable price.